Dad never made this soup - it's a cracker though (Peter). 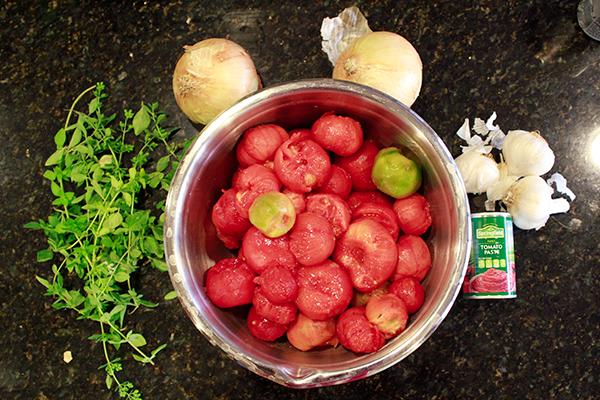 It's OK if you have a few green tomatoes in the mix. Our little herb garden - marjoram, basil and sage. There is thyme in there somewhere - covered by the basil. 1. 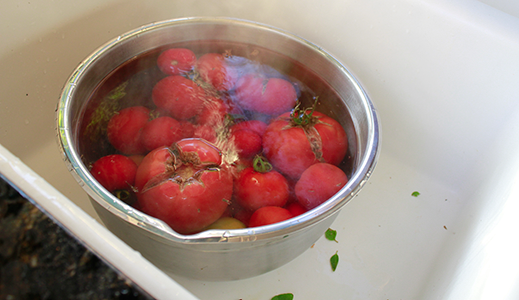 Immerse tomatoes in boiling water for a minute or so. Tip off hot water and replace with cold. With a sharp knife, strip off skin and remove bit where the stem was attached. Chop roughly. 2. Heat oil in your soup pot and fry onions for 5 minutes or so. Then add garlic, crushed. 3. Add the tomatoes to the pot and cook uncovered for 10 minutes or so. 4. Add the chicken stock, tomato paste, sugar, Worcester sauce and small chili. 5. Puree the mix in a blender, or food processor (but cool a bit first). 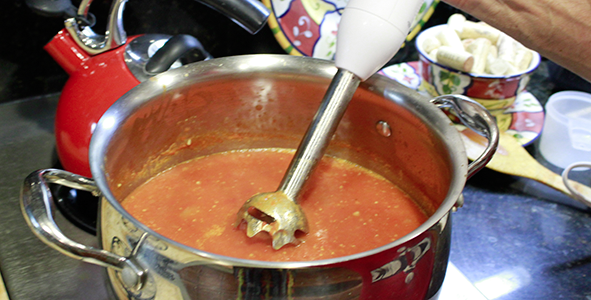 Or - best of all (saves dishes and time) - use a hand blender right in the soup pot. Don't blend too fine. 6. 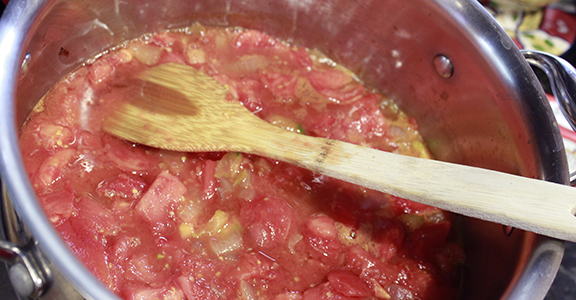 Reduce heat, add cream and a heavy load of chopped herbs (~ 8-10 tablespoons). Do not boil. Check for seasoning. 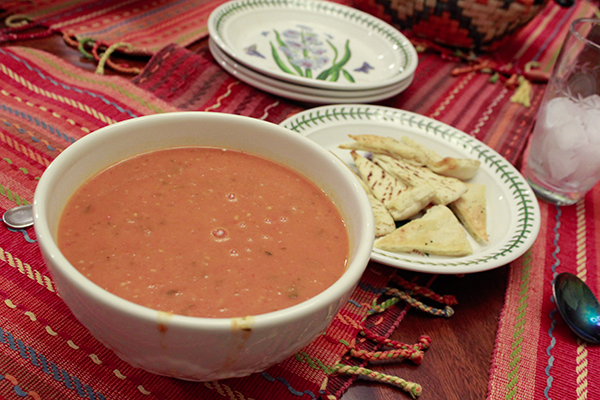 Serve with crusty bread, baked pita bread, or - better yet - garlic bread! Use a small, sharp knife. Butter, crushed garlic and salt = garlic bread. Last night's dinner - still some left in the fridge.